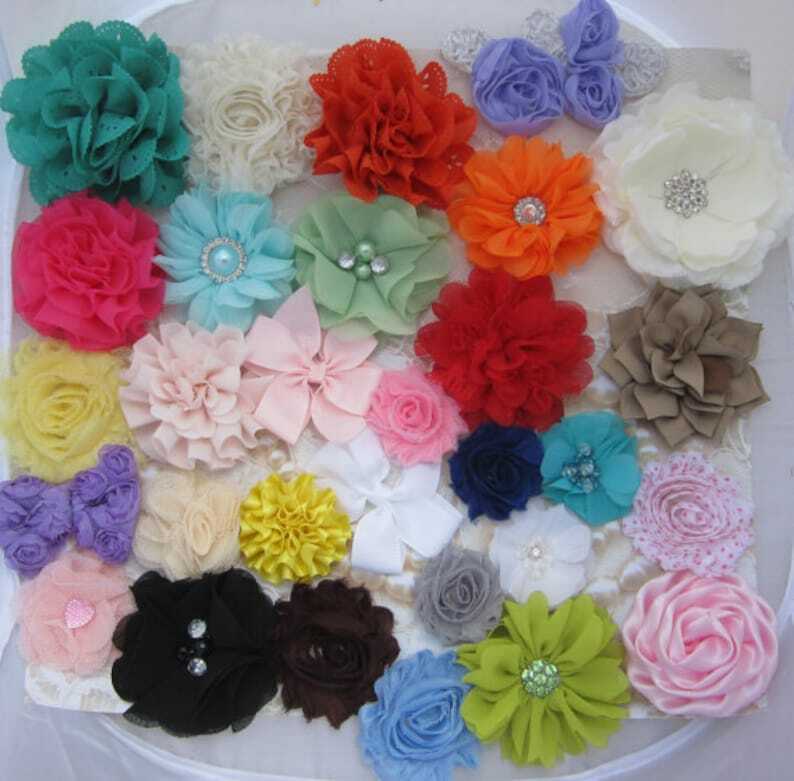 This is a combo pack of 12 assorted fabric flowers PLUS 12 assorted colors of 1.5 inch mini shabby flowers. (Mini shabby flowers are on mesh and require trimming before being used). PLUS 12 pieces (16") of soft stretch elastic (FOE) PLUS 12 pieces (16") of skinny elastic in assorted colors. Perfect for a crafty mom to make lot of headbands and clips. Elastic is large enough for adults and can be cut smaller for children's sizes.